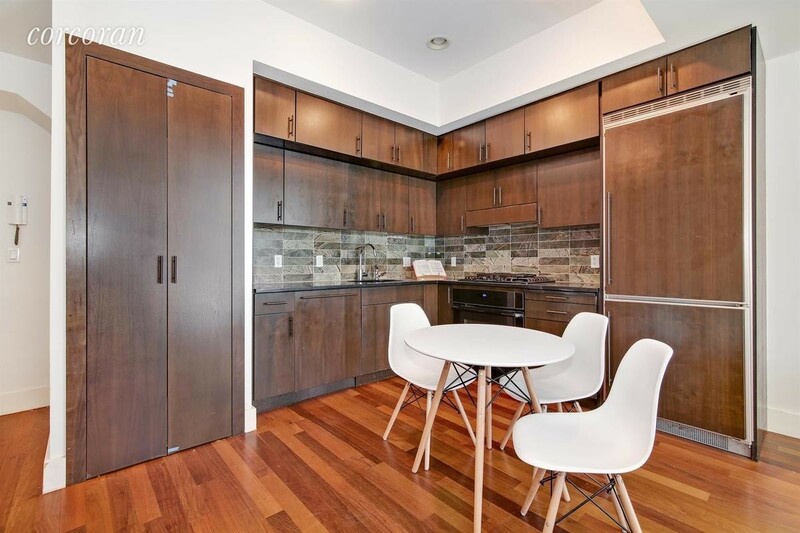 39-51 48th Street, Sunnyside: A three-bedroom, two-bath home in the picturesque Sunnyside Gardens neighborhood that includes a finished basement and backyard, and an in-unit washer and dryer. Asking price: $995,000. As the rental market slows and concessions rise, sales in Manhattan continue to be brisk: According to recent market reports, transactions—and average sales prices—have picked up in the borough. The expense of buying in Manhattan seems to be such that even high-earning New Yorkers wonder whether it's realistic to purchase here. Ann and Madison Smith, for instance, (note: names changed to protect the buyers' financial privacy), who are currently renting in Manhattan, would love to invest in a home for themselves, their two small children, and their pet beagle, but Ann says, "We basically don't think we could ever—or really, in the near future—afford to buy a place in Manhattan that we'd want to live in." What they really want is a three-bedroom in a doorman building—a pet-friendly one, of course. That said, while the couple is committed to staying in the city, the Smiths are open to considering suburban-lite options like Riverdale or parts of Queens, where their budget could stretch a lot further. She also wonders whether they should scrap the idea of buying in the city entirely, and instead purchase a second home in the country and continue to rent in NYC, an increasingly common practice, as Brick has covered previously. If they can't afford their own slice of Manhattan, Ann says, "We could do with a patch of greenery to call our own, and some quiet." So which will it be? To find out what the couple's wisest move might be, we consulted mortgage broker Sean McPartland of the McPartland Team at PNC Bank (this article's sponsor) and real estate agent John Harrison of CORE for their suggestions. The primary challenge for these buyers is one that many of their peers face: The down payment. As we've written about in the past, the down payment tends to be the biggest hurdle for New Yorkers, due to the high cost of real estate here. In addition to the 20 percent down that co-ops typically expect from buyers, boards also want to see that they have two years' worth of post-closing liquidity to cover mortgage and maintenance payments. "They have strong income, but the amount of cash on hand they have for a down payment and closing costs is going to affect what they can afford," McPartland says. "We get this scenario often." Given this, the Smiths may want to focus on condos, where the restrictions for financing are more lax. Unlike co-ops, condos do not usually have financing minimums, which means the prospective buyers can borrow more and put down less up front. Condos are also more lenient than co-ops about post-closing liquidity, so the buyers needn't worry about demonstrating they have two years' worth. However, closing costs on condos--which can include broker’s commission, taxes, title insurance, and more--are generally higher than they are for co-ops, usually about 4 to 5 percent of the purchase price. McPartland notes that PNC Bank offers some co-op and condo buyers 90 percent financing, through a combined mortgage and home equity line of credit that allows them to make smaller down payments and have more flexibility. Using this approach, the couple could afford to consider homes selling for up to $1.25 million. They'd first take out a fixed, 30-year mortgage for $1 million (that is, 80 percent of the home's cost) and then a home equity line of credit of $125,000 for another 10 percent. Their $150,000 in cash on hand could then cover a ten percent down payment and closing costs. A home equity line of credit can be paid back at a variable rate, depending on how many years the homeowners would opt to take. McPartland estimates that monthly payments on a 30-year mortgage with an interest rate fixed at 3.5 percent would amount to $4,490; repaying their home equity loan over five years would be a monthly cost of $383. This means total monthly housing costs would come to $4,873—a little higher than their current $4,695 rent, but not including common charges or maintenance charges, likely to be in the $2,500-$3,000 range or more. 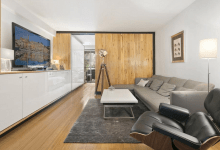 Even with a budget of $1.25 million, though, McPartland says that the couple's desired three-bedroom in a doorman building will be tough to find in Manhattan. They'd likely have better luck in Queens or Riverdale, as Ann suggested. 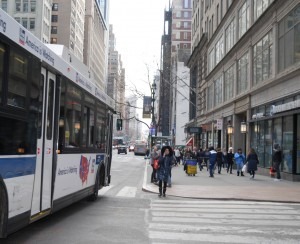 "Buying a primary home in Manhattan really stretches their budget," McPartland says. As for the question of whether they should continue to rent in NYC and instead purchase a country house, he notes that most second homes require 20 percent down, which would mean they'd be considering places in the $600,000 to $700,000 range. "I would take that starting point of $1.25 million and see what that gets you in the city," he concludes. "This is basically what we had figured we could afford right now," Ann says, adding that her suspicions seem to be confirmed that the perfect fit for her family might be out of reach in Manhattan. While they're not interested in heading to the 'burbs, Ann says that the family would think about outerborough neighborhoods like Riverdale, Long Island City, or even Hoboken. That said, she notes, "I find the country house option more appealing, I think. Best of both worlds!". But she wonders what the family could afford outside the city while maintaining their apartment, with its $4,695 per month rent. She's also concerned about finding sufficient funds to cover closing costs. CORE broker John Harrison has good news and bad news for the prospective buyers. He points out that their ability to get 90 percent financing doesn't mean finding a condo will be a breeze. 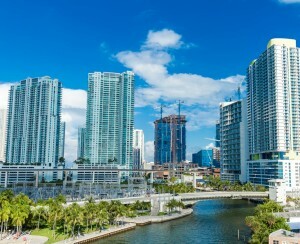 "While many condo buildings may allow such a down payment, you must think about the competition from other buyers," he says. "Just because the building will allow it doesn't mean that the owner will choose you over someone else that is willing to put at least 25 percent or more down." On the other hand, he adds, the buyers shouldn't necessarily go for the country house just yet. "This particular family seems to want to at least consider sticking around if they can make the numbers work. While they could always go the route of buying a second home upstate as a getaway, that alone would still not solve their problem of where and how to live locally, given that even to rent a large space in the city costs quite a bit." It isn't impossible to find the right space in Manhattan: Harrison says that Hamilton Heights in Upper Manhattan is one of his favorite enclaves for its proximity to Riverside Park, multiple transit options, burgeoning neighborhood amenities, and affordability relative to the rest of Manhattan. 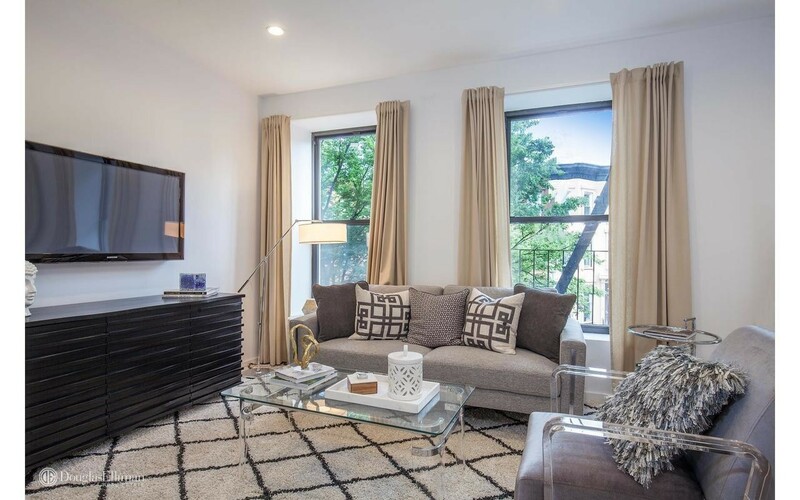 It's also home to this condo at 603 West 148th Street, which, while it has two bedrooms rather than three, is spacious and comes with a number of perks. With an asking price of $850,000 and carrying costs of less than $1,300 per month, this is a real possibility for the buyers, says Harrison. He adds, "Given the building's tax abatement, outdoor space, gym, and proximity to the park, this could serve their needs well." And it won't be tough for them to head upstate for getaways. 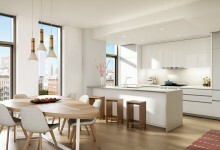 For more options, he advises the buyers to look toward Brooklyn. 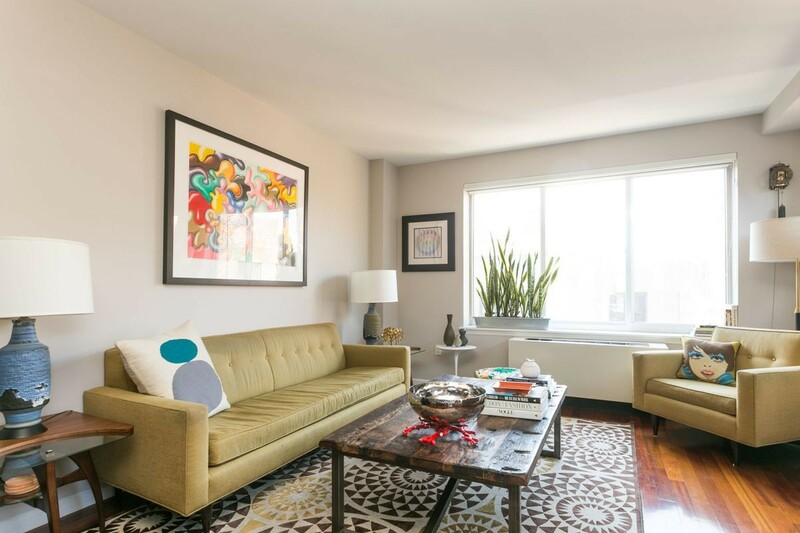 Harrison points to this two-bedroom condo at 150 Myrtle Street in Downtown Brooklyn as a great choice for families: "It is also almost directly across from the brand new City Point development which also includes a Target, Trader Joes, and the DeKalb Market Hall food court. 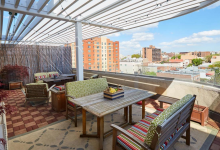 It is near a number of transportation options and a short walk to Fort Greene Park, which is exciting for the kids," he points out. Plus, there's a children's playroom in the building. The asking price is $895,000 and carrying costs are quite low, at under $1,000 per month. 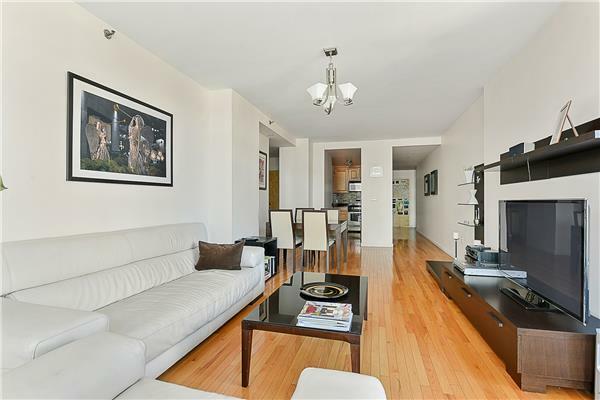 Harrison says the family may appreciate the townhouse feel of this Bed-Stuy condo conversion in a landmarked brownstone, at 43 Halsey Street. 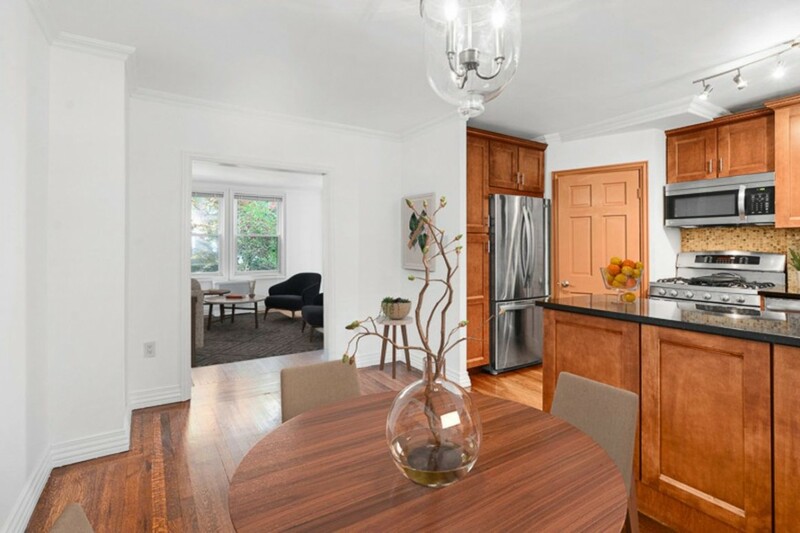 The two-bedroom, two-bath home has been updated with high-end fixtures, and retains prewar details as well. Extra storage in the basement will also be a coup for a family. And the asking price is right, at $799,000. In Riverdale, one of the neighborhoods the Smiths mentioned they'd be open to exploring, this condo seems to fit the bill in several ways. It's a three-bedroom, two-bath with a balcony and in-unit washer and dryer. Plus, building amenities include a parking spot, gym, and additional storage space. Asking price: $738,000. Common charges and taxes: $888. Hoboken What Can I Afford?